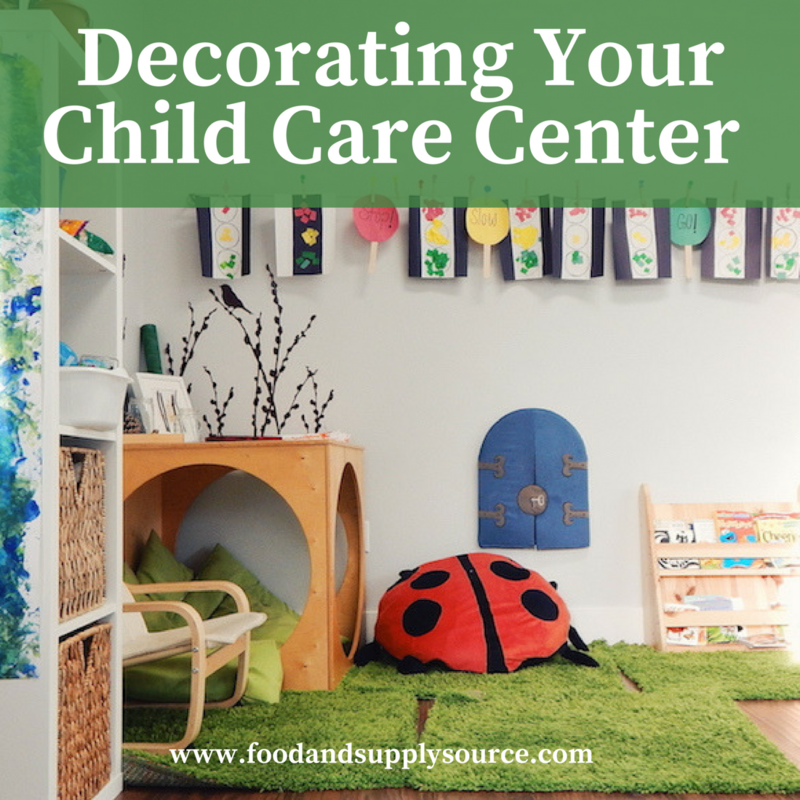 Creating the perfect child care center environment means striking the right balance when it comes to decor. The space should be both warm and inviting, but also a center that’s creative and educational. Where do you begin? 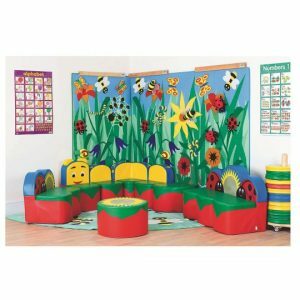 Check out our design tips for creating a child care center setting that’s equally functional and inspirational. Before you have fun picking out cute decorations or toys for your child care center, focus on the essentials. These are the supplies you’ll need to create an organized space for the kids – and organization is definitely the foundation for success! How can you get kids to find a love for reading early on? One way is to create a library corner in your child care center. Fill bookshelves with books that can help teach kids about colors and animals and the world – books that will ignite their imagination!If your child care center caters to children of varying ages and reading levels, don’t forget to stock your shelves with books diverse enough to suit every child. 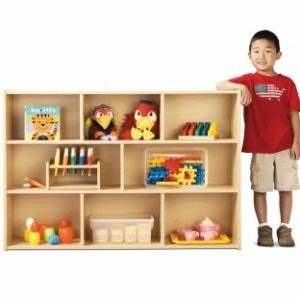 Of course, your child care center is going to end up with lots of different toys – and having a space to store them is vital for keeping your center neat and tidy.As you shop for your child care center, make sure you have plenty of storage for educational supplies.Clear, plastic bins are a great way to keep supplies, and toys tucked away but still visible. Wooden shelves are strong, durable, and long lasting. Wicker baskets are also a great place to stow away toys. Consider getting baskets with lids to hide toys, which makes for a neater overall appearance and takes away temptation to play when it is time for other activities. Having carpet or rugs in your center to keep the floor soft and cushioned underfoot for the children is a no brainer. 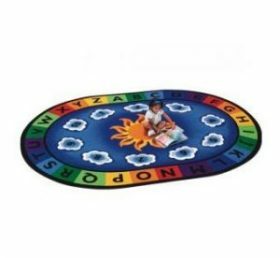 Rugs are also a great way to add a creative and educational element to your setting. Look for rugs that display letters, numbers, colors, animals, maps, etc. Not only will they add a splash of cheerful, vibrant colors to the rooms, these rugs will also expose young learners to these shapes and figures in an indirect way. A child care center is a safe, educational space for infants and toddlers. But it’s also a fun space! When you decorate your child care center, take the time to include unique, artistic design elements that will inspire young minds. It’s also a good idea to leave a designated spot for a calendar. This is a great way to, not only keep yourself organized, but to introduce the days of the week, different months, changing seasons, and holidays.In addition to being an organizational tool, a big wall-calendar is also a fun activity for the kids. As the days go by, they can take turns crossing off the days of the week and tracking upcoming holidays and events. Don’t leave the walls bare in your center! For an added, educational element, and to bring some color and texture into the center, use wall hangings that not only paint a pretty picture, but also make your children think. Look for wall hangings that display nursery rhymes, shapes, fun facts, or inspirational quotes. By now, you’ve got the essentials for your center (or at least know what essentials you need) and have realized the goal for decorating your center: tie together education and fun. When shopping for educational supplies be sure to look for toys with a double purpose. You want to spend your money on products that will stimulate their minds and allow them to be entertained at the same time. To further encourage children to express their creativity, build a small music center into your setting. You can find kid-sized keyboards, drum-sets, or guitars (try to stay away from instruments with mouthpieces). 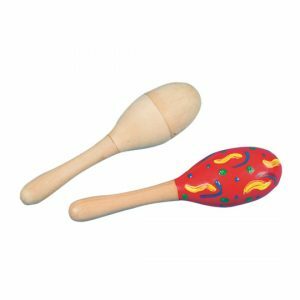 You can even purchase kits that allow the children to decorate their instruments. Toddlers sure do like to make a lot of noise! With a designated music space, they can now channel their energy into a creative environment. Puzzles are a great way to get kids active and involved. Look for age appropriate educational puzzles. 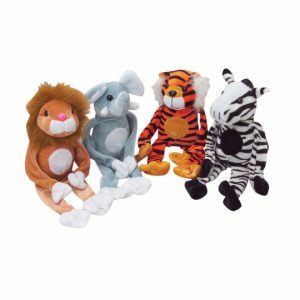 For example, you might find puzzles that help them learn the map of the world, different kinds of animals, numbers, or the alphabet. 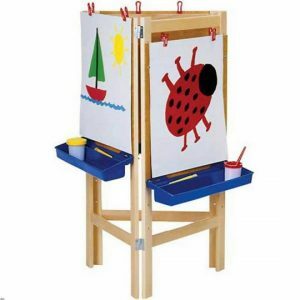 EASELS It’s also a great idea to include an arts and crafts section in your child care center. Find special, toddler-sized easels where children can express themselves with watercolors, chalkboards, or colorful markers.Plus, homemade-art makes the best decoration. When done painting, children can bring their artwork home to showoff to parents or you can display each masterpiece on a wall for display. Ready to Shop & Save? 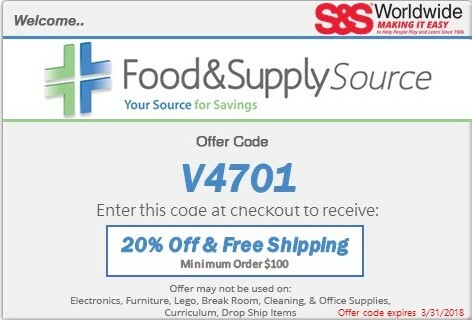 At Food and Supply Source, we work with the best wholesale vendors to help you find the products you need at a convenient price.We offer discounts on over 10 categories of supplies and services – food, milk, janitorial supplies, office supplies, educational items, medical supplies, child care center insurance, + much more!